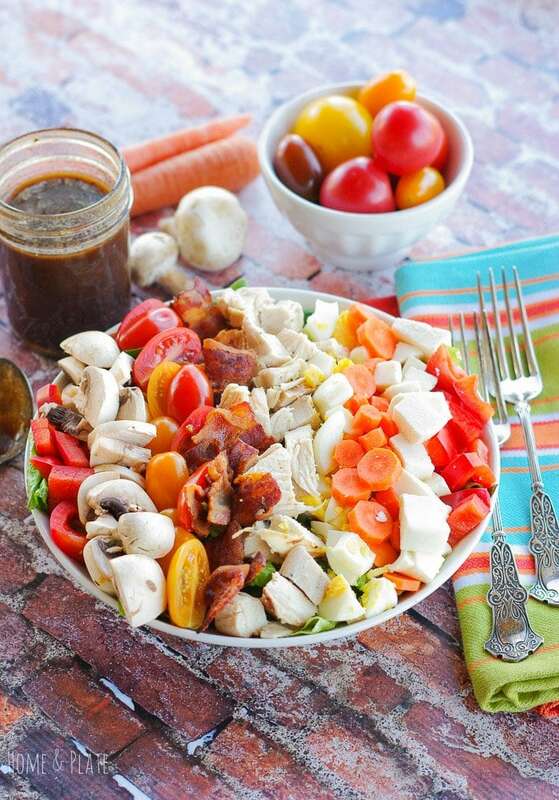 This Cobb Salad With Chicken, Bacon, Tomatoes, Hard Boiled Eggs, Carrots, Mushrooms, Mozzarella and an Aged Balsamic Vinaigrette is the perfect lunch. Have you been eating more salads lately? I have. I’ve gotten into the habit of keeping the vegetable bin filled with fresh veggies and greens. I’ve been cooking up a few ingredients ahead of time to have on hand during the week. When grilling out, I always throw an extra chicken breast or two on the grill so I have it for salads. I also hard boil a few eggs to have on hand for later and fry up a few extra strips of bacon from our weekend breakfasts. 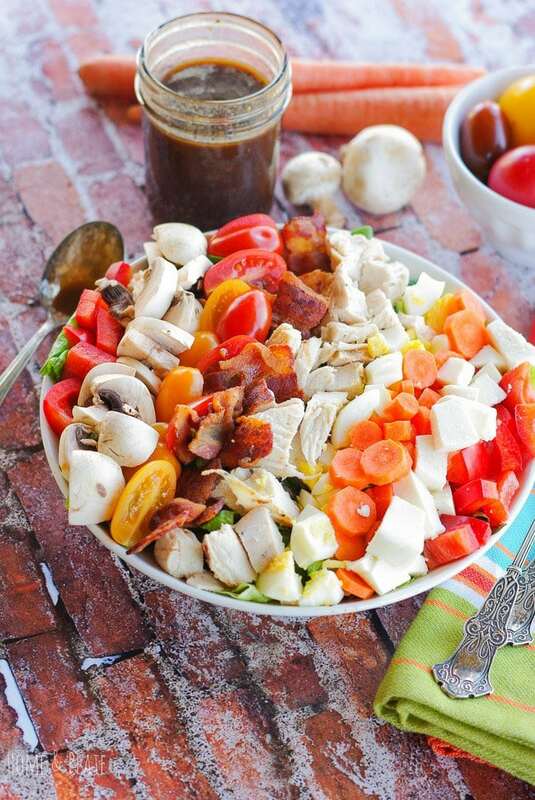 This healthy cobb salad takes about 15 minutes to throw together and really does have a gourmet presentation. 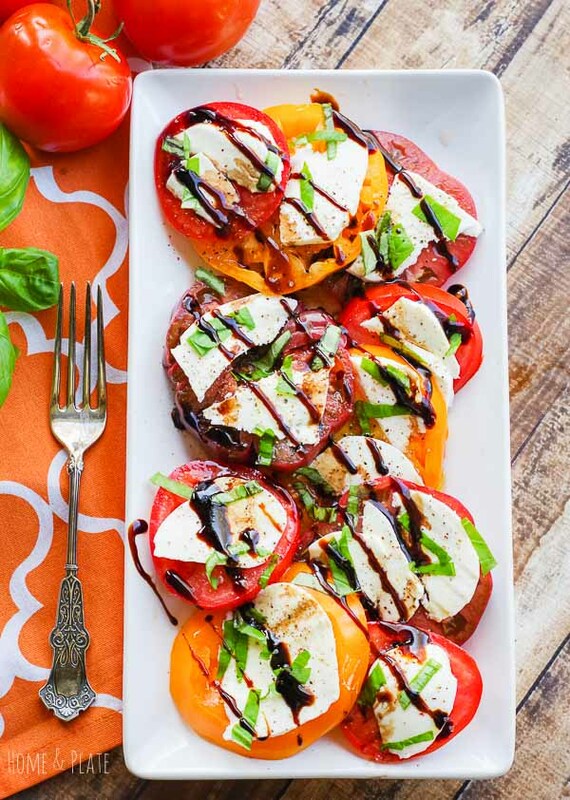 I drizzle it with a homemade vinaigrette that is made with healthy olive oil, a little honey and Dijon mustard and whisked together with an aged balsamic vinaigrette. 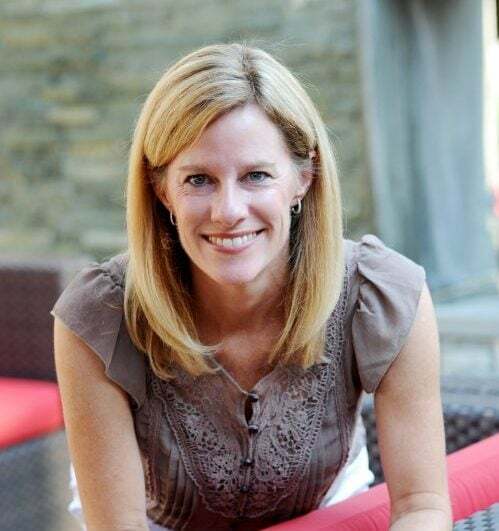 While a Cobb salad traditionally consists of grilled chicken, hard-boiled eggs, crispy bacon, tomatoes, avocado, chives and blue cheese, any vegetables you have in the fridge will work. I promise I won’t tell! I subbed out avocado, chives and blue cheese for mozzarella, mushrooms and bell pepper. I also added fiber rich spinach to the greens. Just as delicious as the traditional! This recipe is easy to follow and perfect for a quick lunch or dinner. Fill two salad bowls with baby spinach or spring mix. 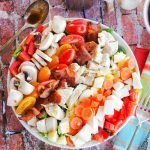 Chop the vegetables, chicken, mozzarella and eggs into bite-size pieces and add to the salad. Drizzle with the vinaigrette and serve. Me and my husband, as well, we eat lately a lot of salads, we like them very much, especially with the warm weather. This salad looks very good. I will sure try it. Thanks Silvia. I love all kinds of salads in the summer. It is perfect this time of year. This is a gorgeous salad, the colors are so vibrant. Just the kind of thing I want to eat for lunch! I love salads and eat them almost every day. Pretty much anything goes for me in a salad – spinach, lettuce, cabbage, veggie toppings, nuts, cheeses. 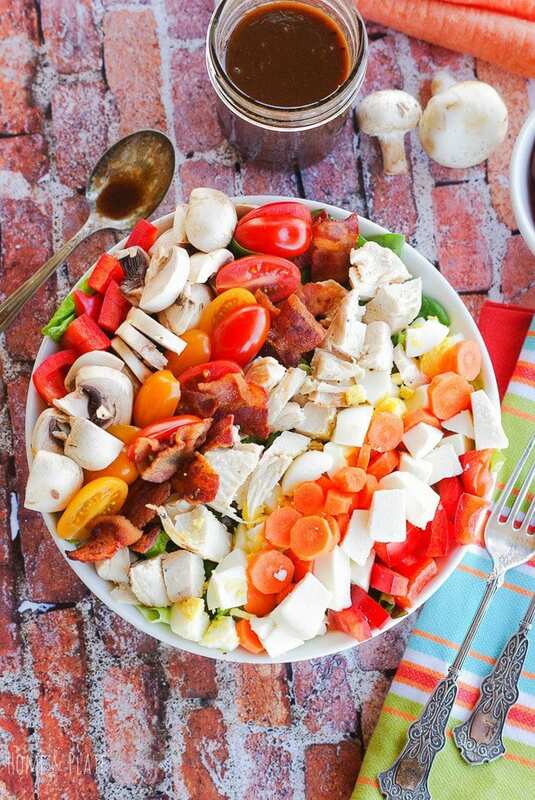 Your Cobb salad looks great! good work on this one! Aah! 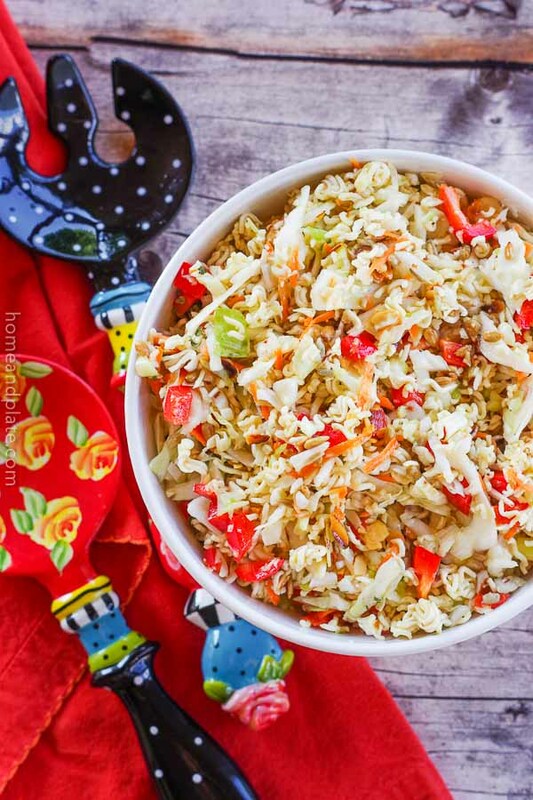 Salads are so refreshing in Summers..love your idea..would give this a try minus the meat! Delicious with or without the meat:) Thanks! Now that is a salad! Looks so delicious! It certainly has all the right ingredients for the perfect Cobb! This looks delicious and so perfect for this hot weather! Love all of the yummy ingredients!